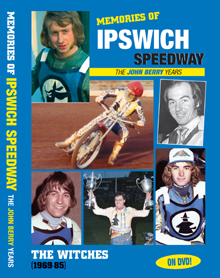 FIRST of a new series of Retro Speedway Cine Classics from around the UK regions. IT'S RAW, IT'S RARE, IT'S RETRO! 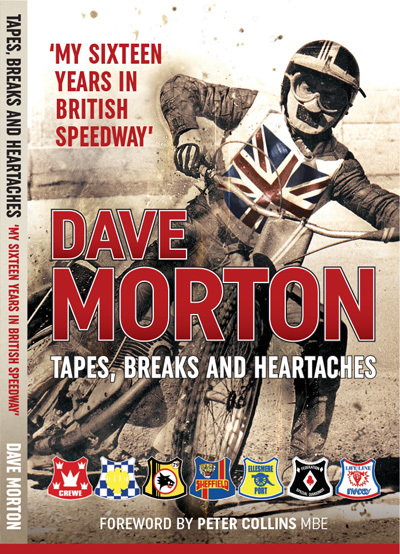 THANKS to very rare and previously unseen 8mm cine footage from the 60 and 70s, plus video film from the 80s, you can now relive magical memories of speedway at sadly defunct London venues Hackney, West Ham, Wimbledon, White City and Wembley on this unique double-disc set. Colin Pratt, Gerry Jackson, Roy Trigg, Les McGillivray, Malcolm Brown, Barry Thomas, Dag Lovaas, Dave Morton, Christer Lofqvist, Mike Broadbank, Dave Kennett, Steve Lomas, Laurie Etheridge, Ted Hubbard, Zenon Plech, Finn Thomsen, Bo Petersen, Vic Harding, Bent Rasmussen, Bobby McNeil, Jens Rasmussen, Toni Kasper, John Titman, Sean Willmott, Martin Hagon, Andy Galvin, Paul Bosley, Trevor Banks, Paul Whittaker. 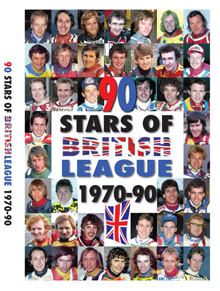 Ken McKinlay, Sverre Harrfeldt, Norman Hunter, Malcolm Simmons, Brian Leonard, Tony Clarke, Reg Trott, Ted Ede, Ray Wickett, Stan Stevens, George Barclay, Christer Lofqvist, Olle Nygren, Martyn Piddock, Garry Hay. 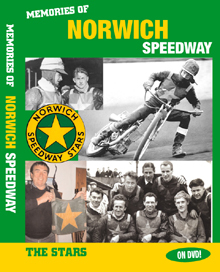 Ronnie Moore, Olle Nygren, Reg Luckhurst, Trevor Hedge, Jim Tebby, Bob Dugard, Johnny Edwards, Barry Briggs, Tommy Jansson, Larry Ross, Bert Harkins, Graeme Stapleton, Barry Crowson, Mick Hines, Roger Johns, Colin Richardson, Stefan Salomonsson, Rudy Muts, Malcolm Simmons, Dave Jessup, Kai Niemi, Anders Eriksson, Brad Oxley, Kelvin Tatum, Mike Ferreira, Alan Mogridge, Ari Koponen, Todd Wiltshire, Ray Morton, Neville Tatum, Nathan Simpson, Rodney Payne, Scott Humphries, Paul Woods (guest). Gordon Kennett, Steve Weatherley, Kai Niemi, Trevor Geer, Marek Cieslak, Mike Sampson, Paul Gachet, Dave Kennett, Andrzej Jurczynski. Bert Harkins, Sverre Harrfeldt, Brian Leonard, Brian Collins, Tony Clarke. Phone: Call Retro Speedway on 01708 734 502. Online: Use the secure PayPal facility by clicking the Cart button below. 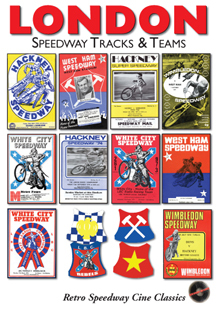 Post: Send cheque/postal order (payable to Retro Speedway) for £16 to: Retro Speedway (London Speedway Tracks & Teams DVD), 9 Nursery Close, Glossop, SK13 8PQ. Add £2.50 when ordering from outside the UK.